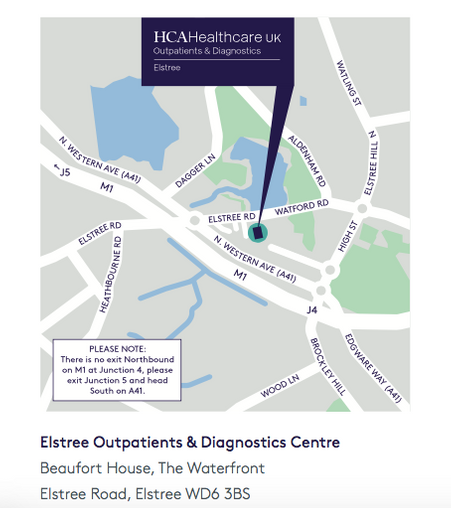 Elstree Waterfront Outpatients & Diagnostics Centre has been purpose-built to provide world-leading modern private healthcare for patients living in Elstree and surrounding areas of North London. 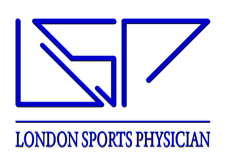 This new centre provides local access to state-of-the-art facilities where London’s top consultants offer seamless outpatient and diagnostic services, with the support of inpatient services from The Wellington Hospital – the largest private hospital in the UK, treating patients for almost four decades. There are onsite GP and paediatric services. The centre accommodates a wide range of diagnostic, therapeutic & pathology services. It consists of 16 Consulting rooms, 3T MRI scanner, X-ray & Ultrasound machines & 6 treatment rooms. Imaging appointments are often available on the same or next day of being seen. There is a mobile standing CT machine available once to twice a week for relevant foot & ankle injuries. There is free onsite parking for patients.